The last time we spoke was in January 2016 and you were working with the first album "Música Cubana, Llegó El Expresso". And what a result! This first obra by the orchestra won the prize for best album in the Contemporary Dance Music New Talents Category. During your time as musical director of La Revé, the orchestra won several awards as well. Is it a different emotion for you when you to win as the director of your own orchestra? Hello Michelle, that's right. The last time we saw each other we had founded the orchestra and were already preparing the album that was finally called "Música Cubana, Llegó El Expresso" with Bis Music record company and licensed in Italy with the Sound Label Doc de Brindisi by the important Dj Massimo Roger. At that time I just wanted to find a musical direction that would identify El Expresso de Cuba without losing the essence of what Aisar Hernández already represented to the dancers and critics and, above all, to try with that first record to separate the band from the usual sound that I was identifed with after directing the orchestra Elito Revé y Su Charangon for 10 years. So what I focused on first was not calling famous musicians to the payroll of El Expresso de Cuba much less musicians of La Orquesta Revé precisely so I could look for a new sound. The recording of this record was done in two studios. The rhythm section of the CD was recorded in the studios of Egrem on 18th Street in Miramar and the trombones, vocals and mixes done in Abdala studios. This was an album that a lot of hopes for because it was the beginning of the orchestra and El Expresso de Cuba. 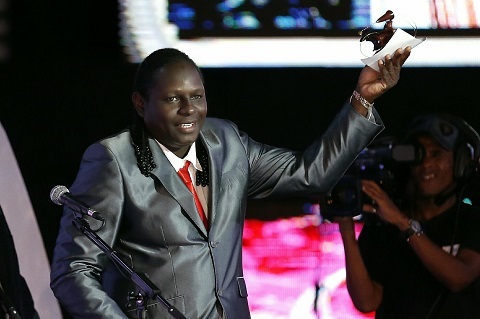 As you say, I made several albums with La Orquesta Revé and they were nominated for Cubadisco. It's nice to say that together with La Orquesta Revé I made 5 albums and won 5 Cubadisco prizes in the Popular Dance Music category and two Grand prizes, and they always brought me a lot of joy, although I admit that I never work for the prizes, I work for the dancer because that is the biggest prize that an artist can have - the recognition of the people who go to your concerts. 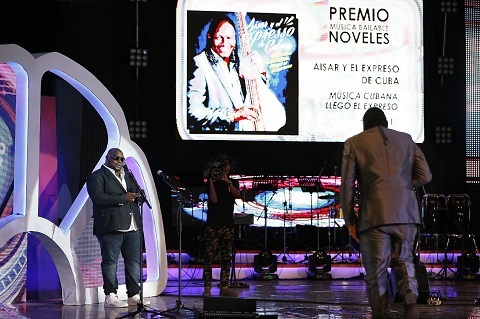 Well, with all this prelude, my album with El Expresso de Cuba and my first joy is that it was nominated at Cubadisco in two categories 1) opera prima 2) Contemporary Dance Music New Talents. And finally we were awarded that second prize for the best new orchestra of the year 2017. This was a prize that I liked a lot because it was the result of all the effort and work with my musicians, who as of now 95% of them are still founding members of my group, and it was they without guests who worked on this album. El Expresso de Cuba arrived in the market really powerfully with this album that, in addition to prizes, was very well received by the dancing public. 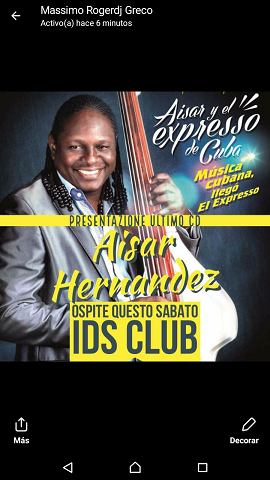 Unfortunately I have not had the chance to go to Cuba to see the orchestra live, but my friends have told me that the concerts of Aisar y El Expresso de Cuba are ones you can't miss! The relationship of dance and music is so important. What is it about the band that has given it such a good reputation among the dancers? The the first thing is that the band has is the ability to surpass in concert what they recorded on the album. They have a lot of energy and good communication with the audience. It's a combination of my experience and the youth of the band members and the desire to make good Cuban music. I have 4 singers with different styles and voices and this allows me to move in the repertoire from a salsa, a ballad, a son montuno, a rumba. a guaguancó, a columbia. 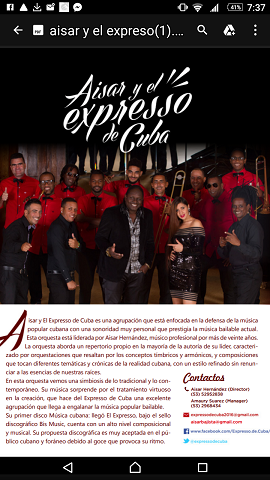 In the end there are 4 different styles in the same band, full of youth that makes El Expresso de Cuba special. During 2017, El Expresso de Cuba has had weekly concerts on Sundays at Casa de la Música Miramar and Wednesdays at El Diablo Tún Tún. Are you going to continue with the same schedule in 2018? Are there plans for a national tour as well or other special events? Well, in 2017 we had a peña matiné on Wednesdays at El Diablo Tún Tún every week. Now we can be seen Saturdays at the Casa de la Música Miramar Matiné from 5 to 9 except the second Saturday of each month when we perform at Jardines del 1830 tgether with the Casino Rueda Project at 10pm and also, you can see us on the third Friday of each month at Café Miramar at the address 5th and 96th starting at 10pm. These are the fixed concerts in the city of Havana, but we also perform at the Salon Rosado de la Tropical, the cultural center En Guayabera, Café Cantante, different carnivals around the country and popular festivals and all these presentations are individually scheduled. Tell us what you're doing now in Europe. Well, these days I've been in Europe just preparing the first tour of the orchestra where we will be presenting this album that I repeat is called "Música Cubana, Llegó El Expresso" and I have been invited to venues, clubs, radio stations. I have done interviews online presenting this album and promoting the first tour of El Expresso, which thus far has presentations in several cities in France, Italy and Tunisia. After coming out so strong with the first CD, are you singing new songs at the concerts? Are there plans for another album to come? Yes, after the CD we have written two songs, plus a Vallenato in the style of El Expresso de Cuba that people enjoy a lot that is called "Camarón que se duerme" and a song that wil soon be available on video through social networks and at digital stores. This song is called "Seguimos pegaos" which is a song that I wrote for the stellar Cuban TV program Piso 6 and in which an excellent cast of stars from Cuban dance music participated. I'm going to take advantage of this opportunity from Timba.com to thank them for their participation in the project. I think they are important representatives of Cuban Popular Dance Music who appear in this video. Before founding El Expresso de Cuba, you had worked 20 years with music and 10 years as musical director of La Revé. But now being a director of your own band, is there something new or unexpected that you have learned in this different role? Yes, it is true that before forming El Expresso de Cuba I already managed to have an artistic career of 20 years, and I had learned a lot about the orchestras, the musicians and treatment of them, but I really have to say that you need to lead a collective and have the maximum responsibility for the direction of the orchestra to understand how complex it is to lead, to understand the musical, social and economic responsibility that you have for your musicians. Knowing that making your decisions involves more than a personal taste or desire, and that when you make a decision that is turns out to be an achievement for your orchestra you can only see the joy of your musicians and people, but when you make a mistake, not only do you see the sadness in their faces but it's also sad to stand before them and communicate such a mistake. And that really hurts a lot. Although in my case, I am thankful for the great human quality that exists in the musicians that today make up the musical family Aisar y El Expresso de Cuba. 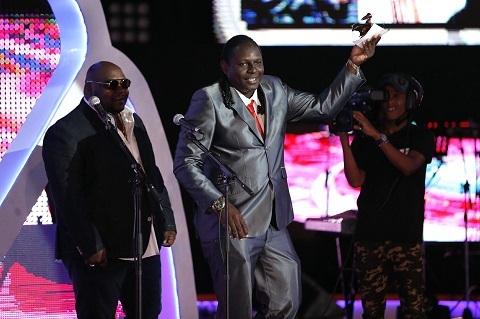 Despite the great popularity of reggaeton in Cuba now, there are still young groups - like El Expresso de Cuba - that choose the path of Cuban dance music. How do you see the market now and the demand for this music and what is needed to help in its dissemination? Well the first of all, I don't have anything against reggaeton, I think it's another musical expression, one that I didn't do with my orchestra. That's my opinion. 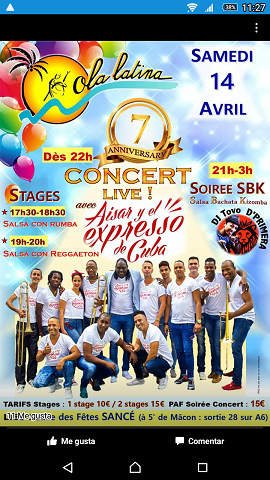 I made an orchestra to continue defending what I like and that is Cuban Popular Dance Music and I follow that path, always striving and looking for variations within popular Cuban dance music where the work of El Expresso can be interesting and people will like it. I think there are many Cuban orchestras that over the years have shown that by doing the job with confidence and well directed to the audience that follows us and enjoys our music, Cuban music will continue to maintain its value. I think that instead of creating a war with reggaetoneros, we must use those energies to do our job well and look for new alternatives to promote it better and sell it with quality to the community that follows us, because this in itself will appeal to those who have never been interested in what we do but if they see the good music we are offering, they can change their minds, as has happened with many people. Where and how can fans keep up with the orchestra's concerts, tours and news? Facebook? Well, El Expresso de Cuba has a Facebook page which can be "liked" and it always reflects the orchestra's usual shows. We're also promoting a lot of information about the orchestra on the Bailar Cuba page, but I think there should be a platform that follows more closely the schedules of important venues in Cuba where first-line orchestras are presented, so when people arrive in Havana, for example, they are not so lost with the artists' schedules. Thanks for the interview and I hope I'll see you soon at a concert here in Europe. Thank you very much to you and Timba.com for allowing me to communicate to the world what is going on with El Expresso de Cuba.